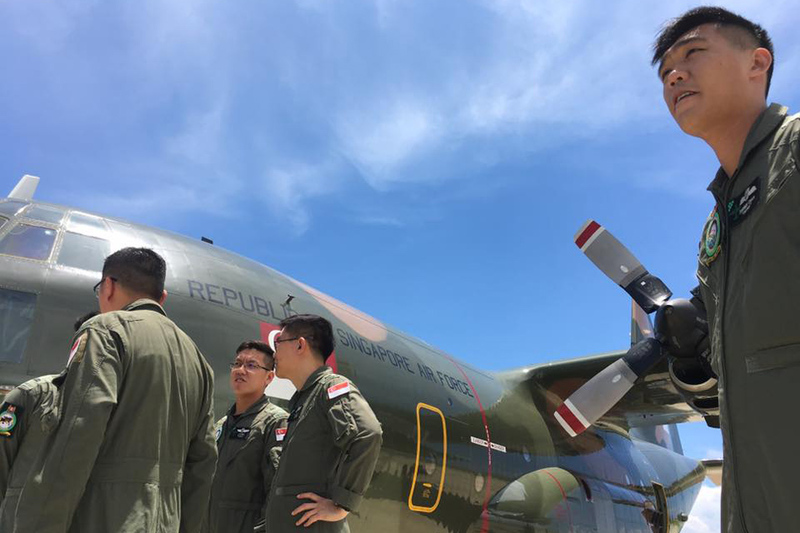 MANILA, Aug. 7 --- A Singaporean Lockheed C-130 "Hercules" cargo plane, loaded with assorted relief supplies, has landed at the Laguindingan Airport, Misamis Oriental on Monday. The items are for the people displaced by the ongoing fighting in Marawi City where two barangays are still being held by Maute Group terrorists, Armed Forces spokesperson Brig. Gen. Restituto Padilla said. The Singaporean aircraft arrived at 11:25 a.m. and immediately unloaded the relief items, before flying back to Singapore at 2:31 p.m. The relief supplies consists of tents, blankets, assorted medical supplies, medicines, drinking water, dynamo lights, food ration packs and water filtration units.